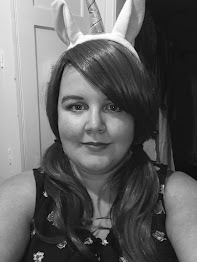 I have to confess that over the past few months, this blog has become less about "beauty" and more about body image and positivity, which has made me question my blogs name, so I sort of wanted to apologise to you all for that. I think I've just grown up a lot since I started blogging, which has taken my blog down a different path. Nevertheless, I have so many products waiting to be reviewed, and I know I've said this before, but I really need to get my act together and concentrate a little more on beauty, whilst still including the positive side of things, because that is all still incredibly important to me. Whether you're at School/Work, going shopping with your mum, or a Saturday night out, the chances are that you'll have fab eyes, because let's face it, our eyes tend to be the number one thing that we all think about first, when it comes to make up. But, what about your lips? Personally, I don't really think much about what I put on my lips. It just isn't a priority. But, as I'm learning more about such things, I've found myself trying new things when it comes to make up, and lipstick and lip gloss are just one area of neglect that I've been looking at. So, I wanted to start up a little debate! Which is best? Against: Fading. Whilst the colour does tend to last longer, it tends to gradually fade, and personally, I find this to be a real pain, mainly because, if you've applied lip liner, generally that's all you end up left with, and you start to look a little like Jacqui McQueen! For: Lipliner. Despite the fact that lipliner can potentially be all your left with, it's also important to note that there are ways of applying lipliner to ensure you don't look ridiculous. I also appreciate the fact that lipliners can complement lipsticks quite nicely. Against: Taste. Although formulas are vastly changing, I find that a lot of lipsticks tend to taste quite nasty. I know you're not supposed to eat them, but when it's applied to your lips, you're going to taste it, whether you like it or not. For: Colour. Going back to the topic of colour, I think that lipstick colour tends to be quite vivid and brighter than lipglosses. Against: Colour. Back on colour, I also think that it is very easy to put too much lipstick on, not only by being heavy handed, but also because the colours are quite bold. Against: Longevity. Maybe it's just me, but my lipsticks never seem to last very long. I know that you're advised to apply lipstick using a lip brush, but I really hate lip brushes for a variety of reasons, but most predominantly they tend to 1. Tickle my lips, which I find irritating. 2. Take so long to apply, that I just can't be bothered, and 3. I just find it easier to apply it straight from the tube. Against: Application. I don't know if it's just me, but I find applying lipstick to be an absolute nightmare, because I have to really pay attention to not get it on the skin above my lips, especially with a red or dark shade. Comment: This isn't a good thing, or a bad, but it highlights a point in way. I think that many (of course not all) lipsticks tend to have more of a "matte" look to them, which makes them perfect for professional occassions, but personally, I don't think that a "matte" look is what I would be looking for on a light out. For: Easy Application. I find lipgloss wands are more more easy to use than using a lipstick, personally. Against: Icky Stick. This has to be my biggest grievance with lipglosses, and I get sick and tired of how sticky lipglosses are. Against: Taste. I tend to find that a large amount of lipglosses have very overpowering and sickly tastes, that I really detest. For: Taste. Fortunately, brands appear to be tackling this issue, and since starting my blog I've really fallen in love with a couple of lipglosses from well known brands such as Rimmel that aren't too bad in that department. For: Appearance. I love how glossy lipgloss is (hence the name), and how this glossiness leaves the lips looking fuller. Against: Re-Applying. My second biggest grievance is that most lipglosses don't tend to last very long, so re-application needs to be done quite regularly. Comment: Lipgloss is great at vamping up a lipstick look, adding shine if nothing else. Against: Lipliner. You don't really have the option of wearing lipliner with lipgloss alone, because personally I think that it look a tad silly. For: Colour. Perfect for my tastes, the colour of lipglosses tend to be quite subtle which I absolutely love. Against: Hair. How many of us have been out wearing lipgloss on a windy day and found our hair sticking to our lips?? Yeah, do I really need to say anymore? What are your thoughts? 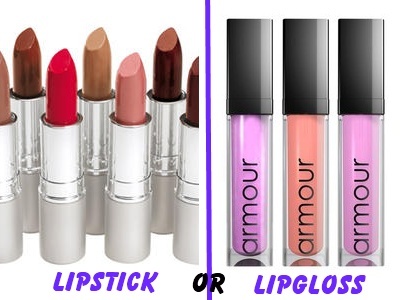 Are you a lipstick or a lipgloss kinda gal? I love both and wouldn't be without either, although lipsticks always get me more excited. And you totally can wear lipliner and ligloss - it's a great way to get more colours out of your collection, and is a really great way to wear darker/bolder colours like red and plums because you know it won't smudge or get on your teeth at all.